Sturdy steel construction and high quality castors make the trolleys easy to move when fully loaded. 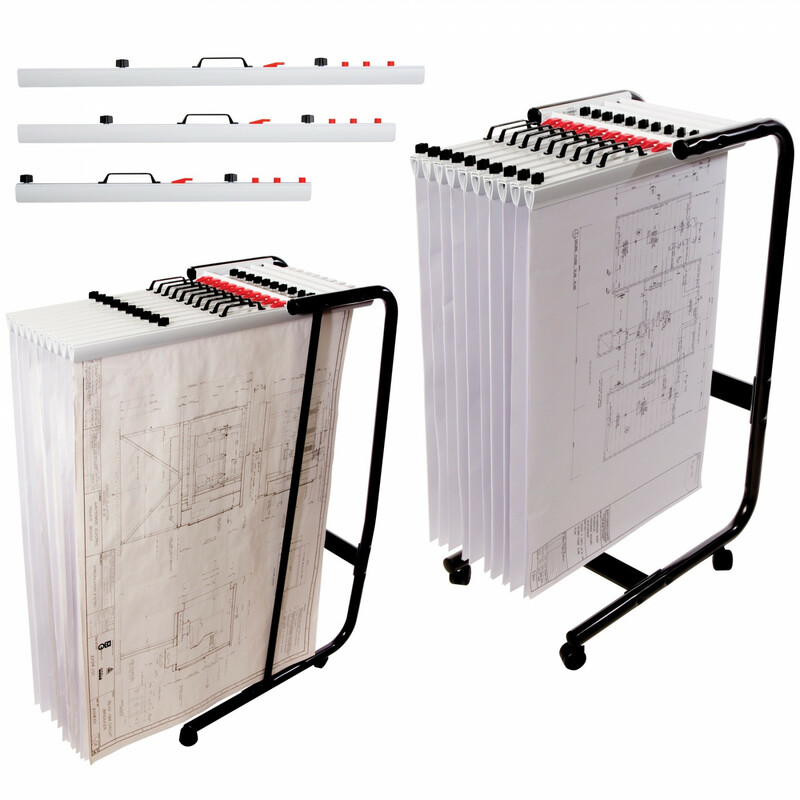 Clamps and mobile trolleys designed specifically for the vertical filing and storing of plans drawings and over size sheets. Clamps hold up to 100 sheets each. Clamps sold separately.